The principle of the open internet — that all web traffic and content should be treated equally, no matter what — has been debated and challenged for decades. Once offered federal protection, this foundational internet standard, which shapes how you use, consume, and produce content online, has recently been dismantled. 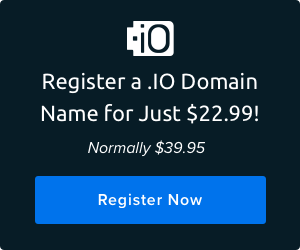 DreamHost is taking a stand for freedom of speech and the open internet. Here’s our guide to what net neutrality is, why everyone who’s ever opened a web browser should care, what it means for your website, and most importantly, how you can join the fight. It’s a dry, technical-sounding phrase for an idea that directly impacts anyone with an internet connection. Unless you’ve been avoiding the news lately (and these days, who can blame you? ), the term probably at least sounds familiar. 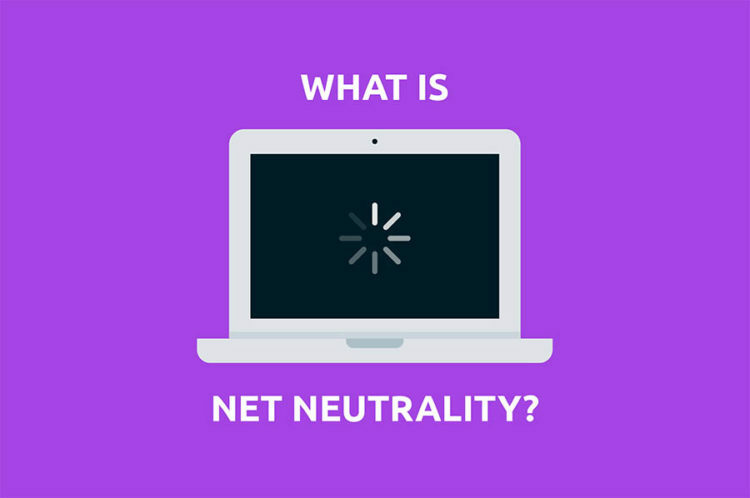 Net neutrality, sometimes called the open internet, is the idea that any and all traffic on the internet is treated equally and fairly; it gets from its source to its destination as quickly and as efficiently as possible. Every website, from Netflix to your WordPress site, loads at the same speed and quality. It almost feels weird to define such a basic status-quo principle that has governed our day-to-day browsing. Net neutrality is how the internet has operated from the beginning. In February 2015 the Federal Communications Commission (FCC), then led by Obama-appointed Tom Wheeler, passed regulations to legally protect the principles of net neutrality. You may have taken for granted that the internet would always be free and open. But unfortunately, times have changed. What Could Happen If Net Neutrality Isn’t Regulated? Nothing good. Most of us get our internet from a big telecom cable company, like Time Warner or Comcast, and/or a mobile provider, like Sprint or AT&T. These companies are called internet service providers (ISPs), and because it costs a lot of money to create the infrastructure to provide internet access, there aren’t very many of them. These ISPs own the “pipes” of the internet, and we pay to use them — we just as we expect the utility company to stay out of our drinking water, we hope broadband providers won’t meddle with whatever flows through those tubes delivering the internet. So without laws protecting net neutrality, ISPs looking to maximize profits could charge a premium for internet “fast lanes”— creating an uneven playing field favoring big content providers with deep pockets. Previous net neutrality protections prevented telecoms from giving their own services preferential treatment over internet competitors by, for example, slowing down Skype or Google Phone. Who Are the Players in This Game? A number of technologists and almost every ISP oppose net neutrality regulations, as do a number of politicians — including the President of the United States and the man he appointed to chair the FCC. (Don’t worry, we’ll chat a bit more about the FCC chair in a bit). And who supports net neutrality regulations? Basically everyone else: content providers such as Netflix and Google, tech companies like DreamHost, and many legislators. The general public, as well, has shown enormous support for the open internet, with millions filing public comments with the FCC backing net neutrality. Why Would Anyone Challenge Net Neutrality? Some opponents say that net neutrality protections are harmful to business and could stifle investment, innovation, and flexibility among ISPs. Others — especially some in Congress and the FCC — argue that these protections are just another example of big government regulations interfering with the free market. Some critics have argued that net neutrality is a gateway to excessive internet regulation. Another concern: net neutrality could slow development of infrastructure, which can cost billions of dollars to build, by making networks less profitable. Some skeptics doubt that the free market will naturally discourage ISPs from interfering with net neutrality. Net neutrality is not just another pesky government regulation. It is a protection of free speech and free enterprise; it enables and ensures innovation rather than stifling it. There’s little evidence that net neutrality regulations have hampered investment in ISPs; several telecom executives are even on the record saying that net neutrality hasn’t affected their investments. Without regulation, telecom companies would be free to tamper with competition for content — potentially prioritizing their own — and, even scarier, affect the dissemination of political and social views. And it’s not likely that free market competition could effectively reign in this behavior because most people only have two or three options for broadband carriers — at most. Net neutrality is inherently pro-business and entrepreneurship. It lowers barriers and creates a startup-friendly environment, without which household names like Netflix, Google, Skype, Twitter, and more wouldn’t exist. “Net neutrality levels the competitive playing field and gives everyone on the internet an equal chance at success,” Dunst says. Take Facebook, for example. Mark Zuckerberg didn’t have to ask Comcast to add his new social media site to its network. Nor did he have to pay a premium fee to compete with Friendster or MySpace for bandwidth. As soon as Zuckerberg published his website, it was available and easily accessible to any computer in the world with an internet connection — thanks to net neutrality. It’s time for some quick background. Sit back and try not to zone out — having a firm grasp on net neutrality’s history will better help you understand the threats it is facing today. First, net neutrality is not a new concept. The government had a hand in keeping networks open long before the term was coined by a professor in 2003. In the 1970s and ’80s, the FCC imposed regulations on phone companies to prevent them from impairing competition in computer networking by, for example, giving customers the right to use modems on their phone lines. That’s right, you can thank the government for the busy tones back in the ’90s. Fast forward to 2005. The Bush-era FCC adopted four policy-guiding principles — more guidelines than actual rules, ahem — to protect competition on the open internet. However, these principles weren’t binding, and the FCC’s legal standing to protect net neutrality remained unclear as some ISPs began anti-open internet practices. Enter President Obama, a long-time supporter of net neutrality. In 2010 Obama-appointed FCC chair Julius Genachowski drafted regulations that required ISPs to be more transparent and prohibited them from blocking online content. In a case brought by Verizon, a 2014 federal court decision struck down these regulations as an FCC power overreach. Genachowski stepped down, and Obama replaced him with Tom Wheeler, who was a big fan of consumer protections. After his appointment, Wheeler outlined his ideas for how the FCC could implement net neutrality — and pleased no one. The Republicans argued that his ideas went too far; and the Democrats, tech companies (including DreamHost), and the masses urged him to come up with something stronger. The idea gained traction when Obama himself also urged stricter network neutrality regulations. The pressure mounted, and finally, the FCC’s Democratic majority provided protections for network neutrality in February 2015. What Did Obama-era Net Neutrality Regulations Do? The 2015 regulations made net neutrality an imperative across all internet providers. Under these protections, ISPs were not permitted to slow down internet service for any reason other than network management. The regulations also prohibited broadband companies from blocking legal websites or charging for faster delivery of content, ensuring that all internet content, from any content provider, will be treated equally. In essence, net neutrality became the law of the land. To make this happen, the FCC reclassified broadband as a public utility, rather than an information service, giving them greater power to oversee and impose regulations. The FCC net neutrality regulations were a major victory for the open internet. When President Trump appointed Ajit Pai as FCC chair, it all but guaranteed net neutrality regulations would be on the chopping block. Pai is a former lawyer for Verizon — and one of the two FCC commissioners who voted against reclassification in 2015. Under Pai’s leadership, the FCC members voted 3 to 2 in December 2017 to undo the 2015 net neutrality rules, leaving ISPs free to meddle with how our internet content is delivered as long as they are transparent about it. The repeal officially went into effect on June 11. So What Happens to the Internet Now? Your world online probably hasn’t changed too much since June 11 — the internet hasn’t suddenly creaked to a halt; Netflix and Facebook still keep up with your binging and scrolling needs. Many ISPs, including AT&T, Verizon, and Comcast, have stated publicly that they have no plans to slow or prioritize content. Of course, that doesn’t mean they won’t ever. But experts say that any drastic changes are unlikely in the near future, especially while net neutrality is under media scrutiny and facing legal challenges (more on that in a bit). Instead, the effects of the repeal will be more subtle. You might notice small shifts, such as an ISP allowing you to stream from their app for free, while all others count against your data plan. Without net neutrality regulations, telecom companies will experiment with new business models that ultimately make it harder to discover new services. So technically you won’t really know what you’re missing — unless you are an entrepreneur suddenly finding it impossible to compete alongside established internet giants. The FCC’s vote in December has proved wildly unpopular, both among the tech industry and the public in general. Legal and political challenges have been cropping up since the beginning of 2018 — 22 attorneys general have filed a lawsuit to block the net neutrality repeal, companies like Mozilla have filed court petitions, and more than two dozen states have sued the FCC or proposed their own laws protecting net neutrality. The battle has even reached Congress, where the issue doesn’t always split cleanly down party lines. Some legislatures are taking aim at the repeal vote by pushing a resolution that could restore Obama-era net neutrality rules. This resolution — the Congressional Review Act (CRA) — passed the Senate on May 16 with support from all 49 Democrats and three Republicans: Sens. Susan Collins of Maine, John N. Kennedy of Louisiana, and Lisa A. Murkowski of Alaska. What are the chances it will pass the House and get signed by the president? Not great. The Republicans have a greater majority in the House than in the Senate, and, at this point, House leaders don’t have any interest in even debating the resolution. Why Should Website Owners Be Concerned About Net Neutrality? Because they’ve got one of the biggest stakes in the game. As a website owner, the open internet is your platform for sharing your passion, spreading your ideas, even earning your livelihood. And all of that is under attack. If you own an online shop, you want your site to reach your customers as quickly as Amazon.com; you don’t want to be throttled just because you are not willing — or able — to pay a monthly fee to be as accessible as Amazon and other big sites. In case you couldn’t tell, we are big fans of net neutrality over here. It was key to the internet’s inception and will always be essential to its continued growth and survival. We pledge to fight for the protections and regulations that safeguard the future of the open internet. So what you can do about the apparent demise of net neutrality? Option A: Move to Canada. For real. Last year net neutrality became the law of the land up north, and we applaud (and envy) the Canadian government’s commitment to the open internet and free speech. If a relocation isn’t on the docket, move on to Option B: Take a stand. Become an active, aware consumer — read your user agreements and keep an eye out for subtle changes to marketing and fine print. If you see something, say something: call companies out directly and on social platforms, and contact tech news blogs. Tech Crunch has specifically asked for tips on post-net neutrality changes. Some users have already noticed changes to wording on Comcast’s website. Plus, midterm elections are coming up this fall, giving “we the people” once again the chance to speak with our votes. Whatever your party affiliations, make net neutrality an important issue at the ballot box. Contact candidates to discuss their views on this issue and let them know what you believe and why. Let elected officials already in office about your opinions as well. Let’s never stop raising a ruckus over this issue — not until net neutrality is the law once again.